Over 4,000 preventable surgical mistakes happen every year. 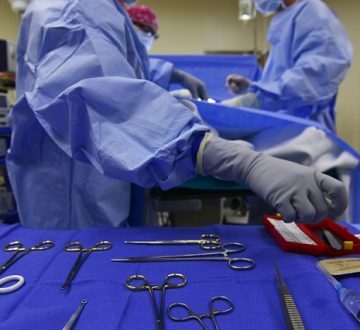 Many of these common surgical errors are referred to as “never events” by researchers because they are the kind of careless mistakes that should never occur. These errors endanger the health of patients and their effects may last a lifetime. When a surgeon fails to meet the expected standard of care, a patient may have the legal right to seek compensation with a medical malpractice claim for injuries and damages. Errors like performing the wrong procedure on a patient, operating on the wrong body part, or leaving a foreign object inside a patient’s body after surgery are considered “never events.” Also referred to as WSPEs for “wrong-site, wrong-procedure, wrong-patient errors,” these careless events are completely preventable. Never events result in about $1.3 billion in malpractice payouts annually. Patients may be subjected to unnecessary surgeries when patient charts are inadvertently swapped. All surgeries carry risks of complications, including strokes or infections. However, these patients may be required to undergo additional surgeries to repair damage caused by unnecessary surgery. Meanwhile, they still need to be treated for their original medical issue that prompted the need for surgery to begin with. In a case where a limb needs to be amputated or an organ like a kidney needs to be removed, removing the wrong body part could be tragic. Unfortunately, this happens at least 20 times a week, according to researchers. Foreign objects like towels, surgical sponges, clamps, or other surgical instruments are left inside patients’ bodies almost 40 times a week. When this happens, it can take weeks, months, or sometimes years before the patient develops symptoms or infections that lead to the detection of these lost items. Affected patients are then subjected to additional surgeries and may suffer permanent injuries or death because of these surgical errors. Organ or tissue damage. During surgery, the surgeon may damage internal organs near the surgical site with accidental punctures or perforations from his or her scalpel or other surgical instruments. Injuries like these can lead to serious consequences like infections, including sepsis that might not immediately be evident and require the need for additional surgeries. Brain or nerve damage. When anesthesia mistakes are made or nerves are accidentally clipped, patients could suffer permanent brain or nerve damage. This could result in lifelong paralysis, loss of function in a limb, persistent numbness, tingling or pain, or cognitive impairment. Infection from cross-contamination. When surgical instruments are improperly sterilized or become cross-contaminated, patients are at risk for infection. For patients with already compromised immune systems, these infections could be fatal. Surgical errors can happen for various reasons. A surgeon could be inexperienced, thus incapable of competently handling the surgery. He or she could suffer from fatigue that makes it more likely for mistakes to happen. But perhaps, more disturbing, the surgeon could be impaired and operating under the influence of alcohol or drugs. Many mistakes can be traced back to communication failures that could begin with the original patient consultation or occur in the operating room. Miscommunication between the surgeon and his surgical team could easily lead to WSPEs. Incorrect medications or dosages may be given when health care providers misread patients’ charts. Neglect or disregard for patient safety can lead to surgeons making mistakes. Failing to ensure proper equipment is available that has been properly cleaned and sterilized can lead to surgical disasters. Getting rushed or becoming impaired from fatigue or substance abuse can affect judgment during surgery. While it might seem odd for a patient who requires surgery on his right knee to have a big “X” or “Not This One” printed on his left leg, these markings could prompt a surgical team to pause and make sure they are operating on the right side. Before surgery, patients should have consultations with their surgeons. During these consultations, surgeons should become acquainted with patients’ complete medical histories, including any prior surgeries, complications, or reactions to certain medications. While it may not be possible to prevent all surgical mistakes, the first step patients should take is making sure they start with an experienced and competent surgeon. Patients should do their due diligence in checking the surgeon’s credentials and malpractice history. It is always a good idea for patients to seek a second opinion, even if they plan to use the first surgeon they consult with to determine if surgery is absolutely needed.